Eastman WE rag cutting machine. 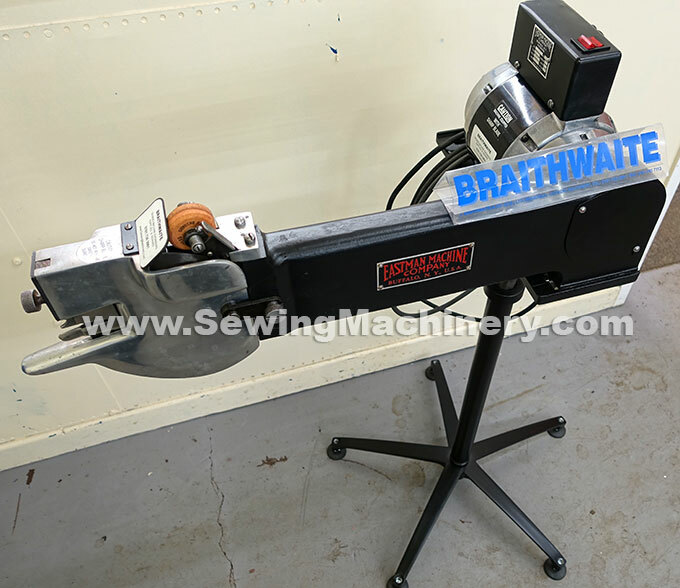 Industrial Rag cutting work station, 6" round blade model. including instruction book. Used for cutting/making rags, disposable wipes and towels etc. Heavy duty sealed motor, single phase 220-240V, Standard 13amp plug.